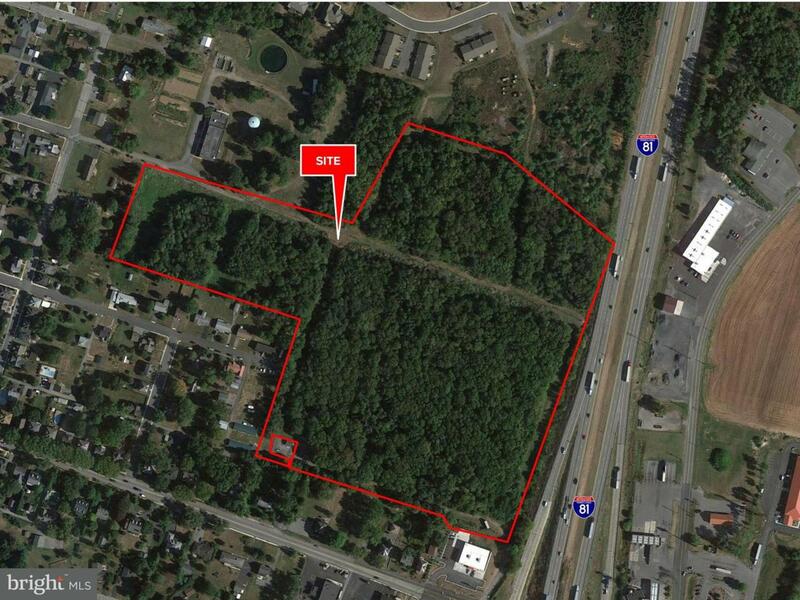 34.44 acres available for sale, 29.37 zoned community commercial and 5.07 zoned general residential all contigeous located just off the Greencastle exit of I-81. Property borders I-81 with great visibility form the highway. HOTELS, RESTAURANTS, RETAIL, OFFICES, C STORES and many...more permitted uses within the community commercial zone.5.07 Acres Parcel 8-2B22-77 Zoned General Residential, 24.67 Acres Parcel 1-A17-75 Zoned Community Commercial, 4.70 Acres Parcel 1-A17-81 Zoned Community Commercial. Also available for sale are two acres in front of this site along Baltimore Street with road frontage. Zoning Description Portion Zoned Community Commercial in Antrim Township And Portion Zoned Residential in Greencastle Borough. Association YN No Central Air YN No Condo YN No Construction Completed YN No Current Use Vacant Electric Other Historic YN No Incorporated City Name Antrim Township Lease Considered YN Yes Navigable Water YN N New Construction YN No Original MLSNumber 300454560097 Ownership Interest Fee Simple Possession Settlement Property Sub Type Land Sale Type Standard Sewer Public Sewer Tax Annual Amount 2497.0 Tax Assessment Amount 17530.0 Vacation Rental YN No Water Source Public Zoning Community Commercial Zoning Description Portion Zoned Community Commercial in Antrim TownshipAnd Portion Zoned Residential in Greencastle Borough.